For alerting us to this new app that is available for download. This ad on Gumtree surprised me. T. Metcalf in Perth is offering his/her services to research others' family trees at a moderate price because he/she enjoys the thrill of the chase and has completed his/her own tree. Most genealogists never get around to completing their trees! A popular way to memorialise ancestors and raise funds for charitable organisations is to place bricks in a memorial wall or path. Descendants pay/donate $50 or more for a brick that is then inscribed with their ancestor's details and installed in a memorial. Examples of this in Australia include Gympie's Memorial Lane and Adelaide's Settlement Square. Today while holidaying in Western Australia I found a variation on this theme along the beachside path at Rockingham. Set into the path are granite plates about 40 cm square inscribed with details of pioneers of the area; these contained more information than what I have seen inscribed on brick walls and paths elsewhere. Use of such tiles for similar purposes may be common but it was the first instance I have seen of it. My reference source Trove tells me "The Waterfront Pioneer Rotary Walk has ninety-nine historical granite tiles installed creating a public art walk along the boardwalk. Art Researchers Artists Arif and Audrey Satar consulted with the students from Rockingham Senior High School, community groups and the Rockingham Historical Society in designing the walk." I photographed around 20 of these tiles that I will post on this blog from time to time. You can read the stories on two of them here. While I was there I was wishing that I could upload images of these tiles to a site such as BillionGraves. Wouldn't it be wonderful if there was a site that allowed one to photograph, save GPS details and inscribe details of these and other monuments around the world. Do you know Margeret Thorson? This photo of a cute little girl and her doll's pram taken in 1937 near Canowindra, NSW is from my Uncle Kevin's Album. I have found references to a Thorson family in Canowindra on Trove and Ancestry so guess that she was a local at the time. I would be happy to send a high resolution copy of this image to Margeret or her descendants. This post was prepared for the ANZAC Day Blog Challenge organised by Auckland City Libraries. 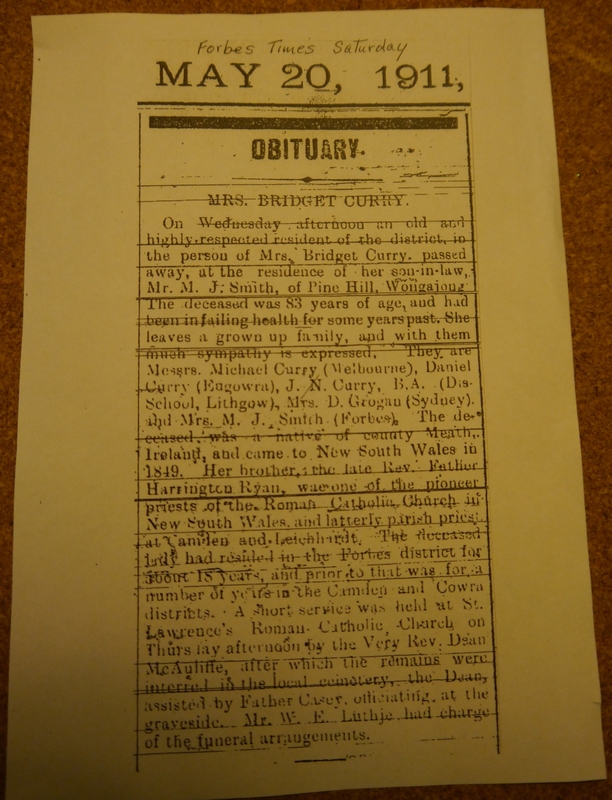 I have noticed recently that a couple of genealogists have referred others to Picture Australia to search for images from the National Library of Australia's collection. In one seminar I attended the presenter told me that Picture Australia held different images from Trove. I didn't want to argue but put it on my list to check out later. I was under the impression that all of Picture Australia's images were available through Trove. I just checked the Picture Australia site to find here that this has been the case since 2009. As a result I have been using Trove exclusively to locate images. What I had missed was the April 18 2012 announcement, Picture Australia with a new lens, indicating that "Over the next two months, the Library will be integrating some essential Picture Australia discovery functions into Trove, and switching off its separate user interface at www.pictureaustralia.org." June 30th 2012 is the anticipated date for this change. I also noticed on Flickr that the Picture Australia Group has been renamed Trove: Australia in Pictures. " 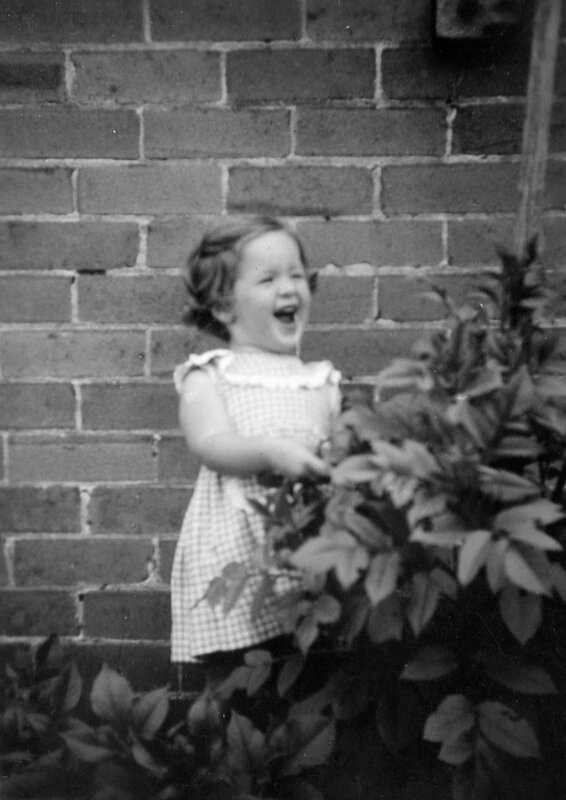 If you are using Picture Australia for image searches it is now time to move over to Trove. As I perused my social media sites this morning I came across this post on Facebook from my US mate, Bill West. The Four Ws, Who, What, Where and When popped into my head when I read this. Without knowing what it is Bill's friend wants to find it is difficult to suggest specific sites. So what I will do is share some of my favourite sites for Aussie research (in no particular order). As my ancestors lived in New South Wales my favourites are biased towards this state, other states will have similar resources. I won't include sites that outline the principles of genealogy research as these are universal and Bill will be able to assist his friend in this regard. I would also suggest that Bill's friend join a local genealogy or historical society for the localities in which he has interests. Many small rural societies have valuable records and home grown databases that are not available online. No doubt as soon as I hit publish on this post I will think of other sites that I should have included but this list should keep Bill's friend amused for a while. I expect that some of my Australian mates will add comments that refer to their favourite sites. I am thrilled that Audrey Collins, my mate and Family History Specialist at The National Archives in Kew, is coming to my town. She has an incredible amount of knowledge and genealogy related trivia filed away in that head of hers. Into the bargain she is an entertaining and down to earth presenter with a terrific sense of humour. Audrey's presentations will eclipse the keynotes I have heard recently. Audrey's blog posts on The Family Recorder give some indication of her areas of expertise and her subject knowledge; they are must reads in my RSS feeds. If you don't live in Sydney there is no cause for despair; Audrey is also visiting Brisbane, Canberra and Melbourne during her tour. Dates and details can be found here on the Unlock the Past site. I am going along to hear Audrey in both Brisbane and Sydney. You'd be crazy to miss an opportunity to hear Audrey. Disclosure: Audrey is a mate of mine whom I first met at Rootstech 2011. I caught up with her again at The National Archives in Kew last year and at Rootstech 2012 we co-presented on an international panel. Yesterday I was thinking that it's about time for another Geneameme but I couldn't think of an idea for one. I was sitting at my kitchen table just now when inspiration struck. It will be a Geneameme focusing on Geneablogs. I hope it will be a bit more popular than my last one: The Reader Geneameme (Contributions still welcome). Hopefully it will give you an opportunity to tell others the who, why, when and how of your Geneablog. I'll let my ideas ferment for a day or two and publish the questions soon. Should you have any suggestions for my 20-25 questions please let me know. Mr Geniaus and I only have proven ancestors from the British Isles although I am about 90% sure that I have some Australian Aboriginal blood. I live in hope that I can one day find evidence, either through DNA or in some records that may come to light in the future, to prove this beyond reasonable doubt. Since the marriages of our children there is now Dutch, Greek and Maltese ancestry in the family. Some of our grandchildren have one or more of these lines in their trees and this has been providing new challenges for their grandmother who wants to research their ancestry! Last night we celebrated Greek Easter with some of the grandchildren who had been busy preparing traditional red eggs for our Easter Feast. We learnt from this four year old that one should say "Christos Anesti!" or "Christ is risen!" and "Kalo Pashcha!" or "Beautiful Easter." We also learnt that these eggs represent the Blood of Christ and rebirth. Our lives have been enriched by learning about the traditions and cultures of the lands of our grandchildren's ancestors. 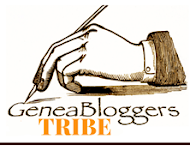 Along with a handful of other Australian Genealogy Blogs this blog, Geniaus, has been nominated in the Best Australian Blogs Competition for 2012. That more than one person nominated my blog is a great compliment. I thank those who took the time to nominate Geniaus. Wouldn't it be a feather in the cap for Australian Geneablogging if some Australian Genealogy blogs were to earn a place in the list of finalists of the People's Choice Award. Your help is needed to make this happen. The voting site is a bit of a pain to negotiate but please have a go and encourage your friends to vote before April 26th. Voting is not restricted to Australia. You can vote from anywhere in the world. Do you know E Boatswain? In this photo taken in or near Canowindra, NSW in 1941 is on the left my uncle, Kevin Curry and another young man, E Boatswain. If he was the same age as Kevin young Boatswain would have been around 16 in 1941. Perhaps he was a son of Ernest Arthur and Emma Mary who lived in Canowindra around this time. If you know this Boatswain chap please let me know and I will send a copy of the photo to him. One of the grandchildren who is having a sleepover at our home tonight has a bit of a lengthy bedtime ritual. As well as storytime there is "My Day" in which he and whomever is settling him down recount and share with each other the events of the day. We managed to get through these without waking his little sister who was asleep in the same room. When he requested the lullaby that "Mummy always sings" I was flummoxed - for one thing I can't sing and secondly he couldn't recall the words of the lullaby so I could have a crack at it. As he was quite insistent I dug down into my long-term memory and recalled a little prayer that my paternal grandmother used to say to me when I stayed with her overnight. My grandson was quite happy with the "lullaby" that my grandmother used to share with me and has now settled down for the night. God bless this bed I lay upon. I have just found the second verse to this on the internet but am glad that I hadn't recalled and shared it with my grandson as he is a sensitive little boy. I am now recalling the many happy times I spent with my grandmother, Mary Tierney, at Brighton-le-sands during regular visits and in school holidays and wishing that I had listened more intently to her stories. I can, however, more than fifty years later remember all of the words of the hymns she used to sing with me! I turned green with envy when, earlier this week, I saw a photo on Facebook of my GeniMate, Sharon Brennan, posing beside Caroline Chisholm's grave in Billing Road Cemetery outside London. Sharon's subsequent blog post told of why Caroline Chisholm was important to her and why she made the journey to Billing Road. I made a comment that Caroline Chisholm was important to me because her interview with my convict ancestor, Patrick Curry, was published in the Sydney Morning Herald in 1848. Having access to this interview gives me an insight into Paddy's life on Camden Park Estate that I would not otherwise have had. As my blog has a few more readers than it had when I posted the following to a Carnival of Genealogy in August 2010; I will repost it here for new readers to see. It never ceases to amaze me how many people contact me after doing a Google search for an ancestor or family member. They are directed from their Google search to either my family website or this blog. A few of these ask me for further information on their ancestors, some ask me to do their research for them, some are from people who wish to correct my data and some are from people who share information that may unlock a family mystery for me while helping them break down a brick wall. This morning brought a new connection that promises to share some juicy information on early 20th century cousins. I used to allow others to download a gedcom file from my website but since I have found my data appearing on other websites and on Ancestry I have disallowed this. I know it is my data because these people have copied holus bolus and even included the sometimes cryptic notes I have attached to people in my tree. So much of the stuff people have copied years ago is now also out of date. I also started to put old family photos on my website but stopped this practice when I found them appearing unsourced on Ancestry. I do not post certificates on the internet as I believe that, in many cases, this breaches copyright. What I find interesting is that many people think that their trees are 'done' once they have copied some data. If you take some info from my site please firstly verify the sources yourself (some of my stuff isn't well sourced) and please revisit regularly to see if I have added to or amended the records for the persons in whom you have an interest. My site is dynamic, a work in progress, and is continually being updated. I usually update my site every couple of weeks but, as I have been travelling since late January, only got around to updating it to reflect my last three months of dabbling yesterday. Already this is out of date as last night and today I spent quite some time fixing sources, visiting new indexes on Ancestry, and searching new sources like the digitised newspapers at Singapore's National Library. Sometimes one is bowled over by a presentation or talk. That was my experience earlier today. Thanks to Cassie Mercer from Inside History Magazine who invited me to this talk which was part of The Free History Group Series at Randwick Library. Last week I wrote of my disappointment with the recent Keynotes at the 2012 Genealogy Congress in Adelaide; today I heard a talk that left the presentations in Adelaide for dead. At this event at Randwick Branch Library in the Sydney's Eastern Suburbs I sat beside two geneabloggers, Sharn White and Shauna Hicks who were similarly affected by the talk "The Girl Who Loved Ned Kelly". Paul O'Keefe is the great-great-grandson of Ettie Hart, the girl that he posits was notorious bushranger Ned Kelly's lover. Having heard Paul's talk I tend to agree. Family stories handed down through the generations in Paul's family had told of Ettie's liaison with Ned Kelly but these were only stories. Paul has spent the last ten years carefully researching this story and has amassed an enormous amount of evidence to support his theory. Paul delivered his amazing and controversial story with passion, warmth and humour. His talk was illustrated with a rich collection of images that seamlessly integrated with his words to add a visual dimension to the story. The only criticism I have is that Paul read his story but this was only its second public airing. Once he becomes more comfortable he will be able to connect even more with his audience. Today he held the audience in the palm of his hand; some of his revelations caused shivers down my spine. In my recent post about keynotes I stated that "I expect a keynote to do more than one of these things: Inspire, Challenge, Educate, Engage, Entertain and Inform." Paul's talk delivered on each of these. Genealogy and Local History Societies and Local Libraries in Sydney should be forming a line to book Paul for their meetings. After the talk I felt like going out, hiring a venue and promoting Paul. His talk centered on one of Australia's most infamous characters, it challenged history and it demonstrated that thorough research can pay dividends. Paul's contact details can be found on his website Neducate. The best things in life are sometimes free. On our recent trip we travelled back to Sydney via a few towns where some ancestors buried. One of the cemeteries I had previously visited in Cobar many years ago but the images I had taken of my grandparents' headstones were poor quality. I wanted to rephotograph these and also look for other family resting spots. The two other cemeteries where I managed to find some family graves, in Broken Hill and Forbes, were new to me. Locating the graves in each of these sites wasn't particularly easy. In Cobar and Forbes there was no resource available to pinpoint the graves' exact location; the map of Broken Hill Cemetery that was available by the Cemetery gate was quite confusing even for Mr Geniaus who is not spatially challenged like me. In order to make it easy for cousins who may be seeking these graves in the future I added each of them to Billiongraves. The GPS coordinates that Billiongraves attaches to these images will make finding them in the future much easier for those who make use of the Billiongraves site or app. As we were on a tight time schedule I could not commit myself to photographing all of the graves in each of these cemeteries. I did, however, take and upload a few rows of headstones around the graves I was visiting in Cobar and Broken Hill. In less than half an hour I was able to photograph over 100 images in Cobar cemetery. These are now available on Billiongraves site; those who wish to visit these graves can use the GPS coordinates to locate them efficiently. How about joining and downloading the Billiongraves app to your Android or other device so that you can contribute to the database when you find yourself (above ground) in a cemetery. While in a cemetery take some time to photograph a row or two of graves. This is a painless and enjoyable way of helping others connect with their ancestors. I got quite a shock yesterday when someone at my family history group told me they had read about my forthcoming talk at Hornsby Library in a local paper and they had read that it was on yesterday. I have checked the local papers and found one snippet about my talk in The Bush Telegraph that has the correct date of May 4th and a couple of references to it being on another date. The Library website also has it listed at 4th of May so I need no longer panic, I just hope no-one turned up on the incorrect date. If you are within cooee of Hornsby and would like to learn about Trove I'd love to share my experiences with you. PMI (Plus, Minus,Interesting) is a simple tool I use when evaluating events, places, decisions. I have already talked at length about the Keynotes at Congress which I found disappointing. My general feelings about the event, however, were positive. Following is the result of a personal brainstorm, organised under the headings Plus, Minus and Interesting, that I have conducted over the past few days . * Comfortable purpose built conference facility with easy access to accommodation, transport and city centre. * That the conference proceedings were only available in hard copy and were not distributed until the close of the conference. Many attendees wanted to use the proceedings to annotate with their own notes. 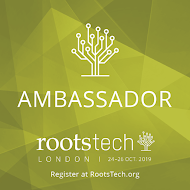 I noticed a post from a fellow member of the Rootstech Parramatta list about John Campbell and offered to post the request on this blog. My offer was accepted. for early letters and documents (or anything at all). grandfather, was also a Chamberlain, working for Lord MacDonald on Skye. residences since the late 1790s. Having sat through and having been underwhelmed by most of the keynote presentations at Congress has caused me to reflect on what I expect from a keynote presentation. Am I being harsh in expecting a keynote presenter to display passion for his/her subject, to tailor the talk for the particular audience, to have sufficient slides and content to fill the alloted time and to have a coherently organised presentation? Keynote presenters should also know their subject and not have to read from a prepared speech. I expect a keynote to do more than one of these things: Inspire, Challenge, Educate, Engage, Entertain and Inform. It is a privilege and an honour to be invited to present a keynote; a sense of responsibility and ethical behaviour should be demonstrated by those given this honour. Julie Arduini says "Keynote presentations are motivational speeches designed to excite the audience for the rest of the event. When keynote presenters deliver a speech, they know what aids to bring and implement to supplement their speech. Keynote speakers have public speaking experience and are known for their ability to educate, inform and entertain." So how did the keynotes at Congress measure up? Thankfully the opening keynote of the Conference, Colleen Fitzpatrick, did not disappoint. She displayed a passion for her field of forensic genealogy while informing us and challenging us to think outside the square. That she tugged at our emotions was a bonus. I enjoyed her keynote so much that I attended two more of her talks. Sadly none of the other keynote speakers similarly affected me. Daniel Horowitz started off well by connecting with the audience, injecting humour into his talk and having good supporting slides. After his first 25 minutes of talking about his advertised topic he digressed. That he used the remaining half of his talk to promote his company's product to the exclusion of other products was unethical and unforgiveable. Chair of the Federation of Family History Societies, David Holman's after lunch keynote "Fascinating facts and figures" captivated the audience with his unique perspective. David's talk was pure entertainment that got us thinking. He displayed a great depth of knowledge of and a passion for his subject. Another blogger Kylie Willison said: "I thoroughly enjoyed David’s talk as I’m sure many people did going by the audience’s laughter. David shared figures of the most common surnames and forenames in different countries. He also spoke about uncommon and funny names and combinations of fore and surnames. I didn’t write anything down because I was so interested and entertained by what David was saying." David was a worthy keynote presenter. John Kitzmiller finished his talk and slides in 25 minutes. He then spent the remainder of his time waffling on about this and that. This was unforgiveable in a keynote - did he not have a practice run and time himself before he presented? Another blogger commented that he should have let us go early and enjoy a longer morning tea break. I missed Vicki Eldridge's keynote as I was busy working on a stand in the Exhibition Hall so I am unable to comment on her talk. 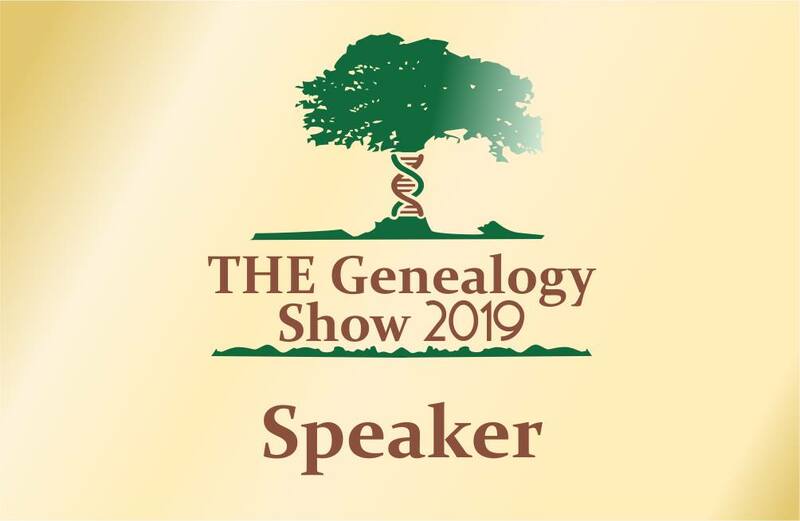 Stephen Young from Familysearch managed to spend an hour delivering a commonsense message, "Descendancy research: when you can't climb up your family tree, branch out", that could have been delivered in ten minutes. The content and topic of this talk was not appropriate for a keynote presentation. I had heard Dan Poffenberger's talk on handwriting analysis and was impressed by his relaxed style, good content and sense of humour. Dan's closing keynote "Familysearch 2012 and beyond" confused me. The news Dan related seemed to differ from what I had heard at the Rootstech Conference in February. Dan just didn't seem to have the depth of knowledge of the Familysearch organisation that the speakers at Rootstech possessed. Some of the American presenters did not tailor their presentations to Australian audiences but just presented talks previously prepared for US audiences. Quite a number of attendees commented on this issue. Some of the keynote presenters used the same examples in their keynotes that they used in breakout sessions; keynotes deserve all new material. Most of these sessions should not have been labelled as keynotes but rather as plenary or general sessions that all members of a group attend. Some would have been better as breakout sessions. Only two of the Keynotes were from Australians and one was from a Brit. There was not a Kiwi in sight; I found this strange in a Conference that is billed as Australasian. Having four Keynote presenters from the US confounded me. The Congress was billed as "on Genealogy & Heraldry" yet none of the Keynotes addressed the topic of Heraldry. From my perspective the programming was the weak point of this event that I otherwise thoroughly enjoyed. What do you expect from a Keynote? For our homeward journey from Congress in Adelaide we took the long way round. We had never visited the outback City of Broken Hill but had been wanting to do so for a number of years. Taking this route through western New South Wales provided, in addition to some sightseeing, an opportunity to visit a few cemeteries. In Broken Hill I looked for my grandmother's sister's grave but could not find her listed in the Broken Hill Cemetery database even though I have her funeral notice indicating that she was buried in the Catholic Section of that Cemetery. I did, however, locate a few graves of more distant relatives in that cemetery. Our next stop was Cobar where I wanted to get better quality images of my Duncan Great-Grandparents' grave. This we accomplished early in the morning after we had been repelled by the over 100f. temperatures on the afternoon we arrived. I also wanted to locate Elsinore, the property my grandparents, my mother and the family lived on in the 1920s and 1930s. The staff at Great Cobar Heritage and Visitor Information Centre went out of their way to help us but we were unable to locate Elsinore on maps in the Centre. I was pleased to see that there was a huge photo of my Granddfather's catering truck in one of the displays and in another display a large photo of Gertrude Pusell, another of my grandmother's sisters. 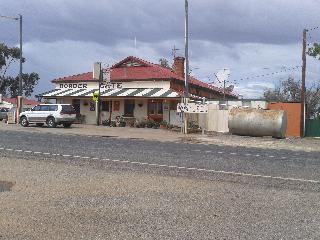 About another 300 km down the road was Forbes. I knew that my Great-Great-Grandmother, Bridget Curry (Nee Ryan), was buried in the cemetery there and wanted to visit and take a photo. While we were travelling along I discovered on the internet that The Forbes Family History Group was open yesterday, Wednesday; we did not tarry as I was keen to visit the group to see if they could direct me to the grave and hopefully give me some other information on the family. I have never been able to locate any information about Bridget's family or her immigration as there are so many girls named Bridget Ryan in the NSW immigration records. As I gingerly opened the door of the centre I was greeted by laughter and happy chatter; tiptoeing into the room I found around ten people working away at tables and computers. They appeared to be engrossed in indexing tasks. I was greeted warmly and within ten minutes a volunteer, Jan, had found the grave location in their cemetery index. Another volunteer was concurrently looking in other files for me; she found an obituary for Bridget. 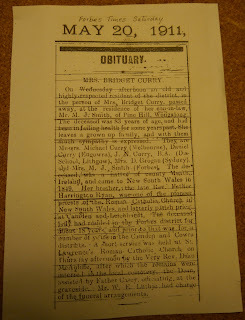 At first I wasn't too impressed as I already had an obituary from the Sydney newspaper that didn't tell me much; then I stopped and read the proffered obituary; it was a more detailed one from the local, Forbes Times. I let out a squeal. For twenty years I had been trying to find out more about Bridget and this scrap of paper gave me some wonderful leads. It listed Bridget's children confirming their places of residence in 1911. The best piece of information was that she had a brother who was a pioneer priest in New South Wales. From using the clues supplied in this article I have, in a couple of hours, found so much about the interesting life of Rev Michael Harrington Ryan and also that Bridget had a sister who had emigrated to the Colony with her husband Peter Birmingham in 1842. Once I can get to some libraries and use print resources I should be able to add more branches and leaves to my tree. I also need to go through the microfilm of The Forbes Times to see if I can get a clearer copy of the document. I was so impressed with the collection at The Forbes Family History Group; it isn't a collection that is rich in published print resources, its strength is in the huge collection of locally prepared indexes and files that were stored around the walls in A4 folders. I am ever so grateful to the volunteers in that group who have devoted many hours to developing these local resources. I cannot express how thankful I am for the work done by The Forbes Family History Group. 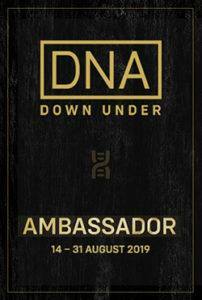 There was a team of Australian Geneabloggers at Congress in Adelaide last week who have and will blog about their experiences of the event. I will attempt to post a full list of links to those posts here so that others can easily access in one place a variety of reflections and opinions about the goings on at Congress. I have been mulling over the best way to organise this list - by blogger's name, by post name or by time posted. I am opting for a loose chronological arrangement. Should you notice any omissions from the list or find some new posts please let me know. Having just crossed the border into NSW I am getting excited at the prospect of visiting ancestral towns on our road trip.